"I’m loving this program and can’t imagine ever wanting to eat another way again. No counting calories? No weighing/tracking food? No scales? No obsessiveness? Yes please! 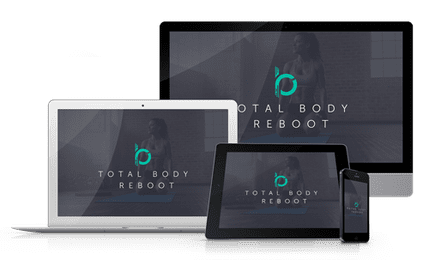 I’ve become a disciple and tell at least two people a day about Total Body Reboot! It’s literally the best investment I’ve ever made in myself." "I thought I had a good understanding of nutrition and health being a healthcare professional. I was very wrong! After a few short months of Total Body Reboot, my body is better than ever. It’s an incredibly life-altering experience and I would never go back to my previous lifestyle. This one is so much better!"